The ACS program is for any student desiring a theological education whose primary language is not English, no matter where he or she is from. Typical English language training can fall short of equipping students for graduate-level ministry study. Students face many issues in moving to a strange land with confusing customs and little access to the help they need. Advanced Cultural Studies is designed to provide instruction for graduate-level students in need of focused academic training in the English language, cultural awareness, and theological terminology in addition to regular program courses at Missio. Demonstrate competency in using comprehensive English skills for academic success in their graduate-level study. Demonstrate competency in theological terminology, missional theology, biblical literacy, and research skills. Demonstrate the ability to show cultural competence, multicultural awareness, interpersonal communication, and conflict management in diverse communities. Demonstrate capacity to maintain spiritual, intellectual, and emotional health by managing their daily life, studies, and social activities in a Christian environment. How Many Terms or Classes Will I Need to Take? The number of classes is determined by your TOEFL iBT score, which is a highly respected English-language test. It measures your ability to use and understand English at the university level and evaluates how well you combine your listening, reading, speaking and writing skills to perform academic tasks. If you need to take the test, or would like additional information, you may visit the TOEFL site to learn more. Take the TOEFL iBT test to determine your score. TOEFL score must be 60 or above.  Complete Missio Seminary’s online Degree Application. Complete Missio Seminary’s ACS Non-Degree Application.